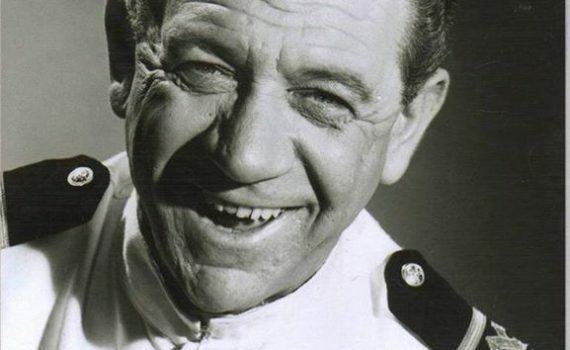 Sid James – the “cockney Jack the lad” star of the “Carry On” movie series. But did you know Sid was a South African by birth and served in the South African Armed Forces in World War Two? Some more hidden history .. inside the chappies chewing gum “did you know” wrapper …. read on. Sid James was born Solomon Joel Cohen, on 8 May 1913, to Jewish parents, in South Africa, later changing his name to Sidney Joel Cohen, and then Sidney James. His family lived on Hancock Street in Hillbrow, Johannesburg. Upon moving to Britain later in life, he claimed various previous occupations, including diamond cutter, dance tutor and boxer, in reality, he had trained and worked as a hairdresser. It was at a hairdressing salon in Kroonstad, Orange Free State that he met his first wife. He married Berthe Sadie Delmont, known as Toots, on 12 August 1936 and they had a daughter, Elizabeth, born in 1937. His father-in-law, Joseph Delmont, a Johannesburg businessman, bought a hairdressing salon for James, but within a year he announced that he wanted to become an actor and joined the Johannesburg Repertory Players. Through this group he gained work with the South African Broadcasting Corporation. Sid’s abandonment of his career and then his young bride and child was the last straw for her wealthy father (whom apparently ‘put a price’ on our man’s head), so Sid decided to cut his losses and join the army. And, coinciding as this did with the outbreak of World War Two, funnily it actually aided his performing career. After a stationing with the South African Tank Corps in Abysinnia, Sid then joined the Entertainment Unit of The South African Army, he was initially made a corporal and proceeded to put on shows for his fellow troops. During this time, he was also caught under heavy fire at the notorious Siege of Tobruk. He was eventually promoted to the rank of staff sergeant and then eventually given a commission as a lieutenant in the entertainment unit, and subsequently took up acting as a career. Around this time he acquired himself a second wife, another South African – dancer Meg Sergei, and come the war’s end and his demobilisation, the couple’s showbiz ambitions saw them leave their homeland for the glamour of London. Sid and Meg arrived in the UK on Christmas Day 1946 and, amazingly enough, within days he’d landed himself not just an agent but a small role, the rest is movie and show-biz history. Ironically Sid died in complete character with his trademark “dirty laugh” at the Empire Theatre on Monday, April 26, 1976. He was appearing in a suitably smutty comedy called The Mating Game. Sitting next to Sid on the stage was actress Olga Lowe, an old friend from his early days in his native South Africa, and he died of a heart attack staring at her breasts … a “Jack the lad” to the end. Story for the South African Legion by Peter Dickens, reference Wikipedia and The Ghost of Comic Legend Sid James by Ian Robson.